WWF South Africa and some of the biggest names in urban culture collaborate on ‘For Nature. For You.’ campaign. Our lives are dominated by digital devices and connecting ‘virtually’, but we cannot forget that we all have an innate connection with nature. Recognising this, including the role of nature in sustaining human life, WWF South Africa wants more young people to reconnect with the natural environment. Part of the world’s leading independent conservation organisation, WWF South Africa recently launched its ‘For Nature. For You’ campaign which seeks to remind us all of the central role of nature in our lives. As part the ‘For Nature. For You.’ campaign, WWF South Africa has collaborated with some of the biggest names in urban culture, including award-winning hip-hop artist Reason HD who, in collaboration with music producer Instro, has put together a new track for the campaign called ‘Back to the Source’. It will be released on 30 November, 2018. The mission of WWF, otherwise known as World Wide Fund for Nature, is to build a future in which people live in harmony with nature. If you want to be there, enter the competition. All you have to do is follow @wwfsouthafrica on Instagram and a post a photo and message about how you connect to nature. Tag in @wwfsouthafrica #ForNatureForYou and three friends. 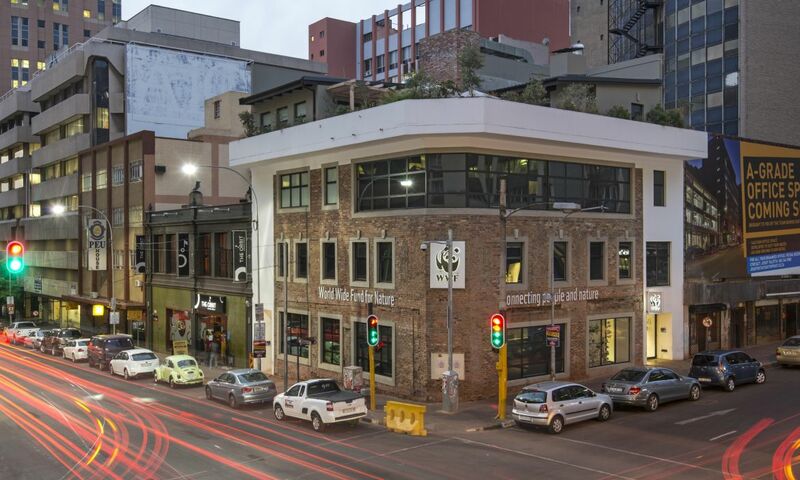 WWF South Africa's landmark Braamfontein office will be the venue for a rooftop party on 30 November 2018.